Boston, March 2, 2018, — Boston City Councilor was named as one of the six finalists of the Emily List Rising Star Award. 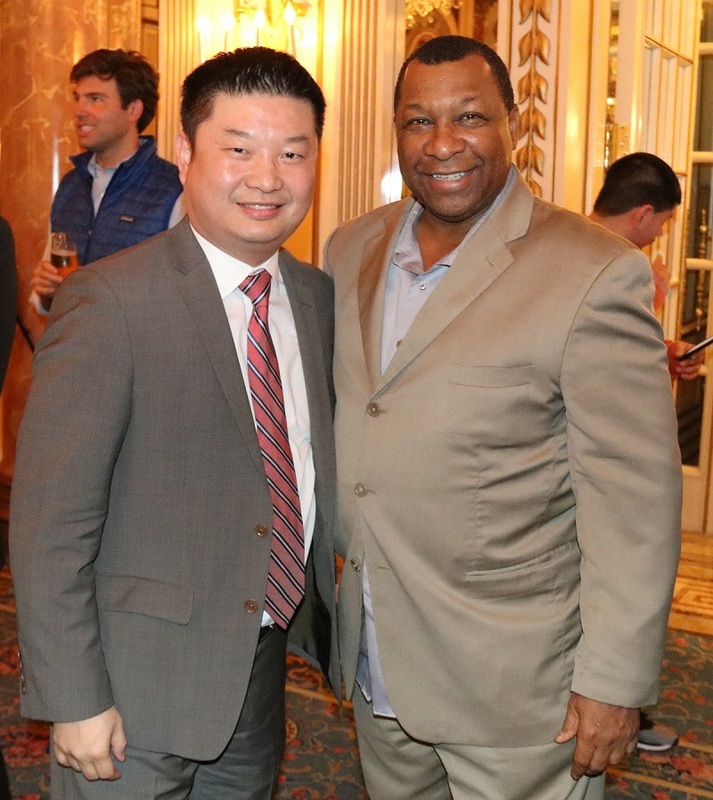 Served as president of Boston City Council in 2016 and 2017, Wu has led the council over the turbulent 2016 presidential elections and the first year of President Trump’s administration. 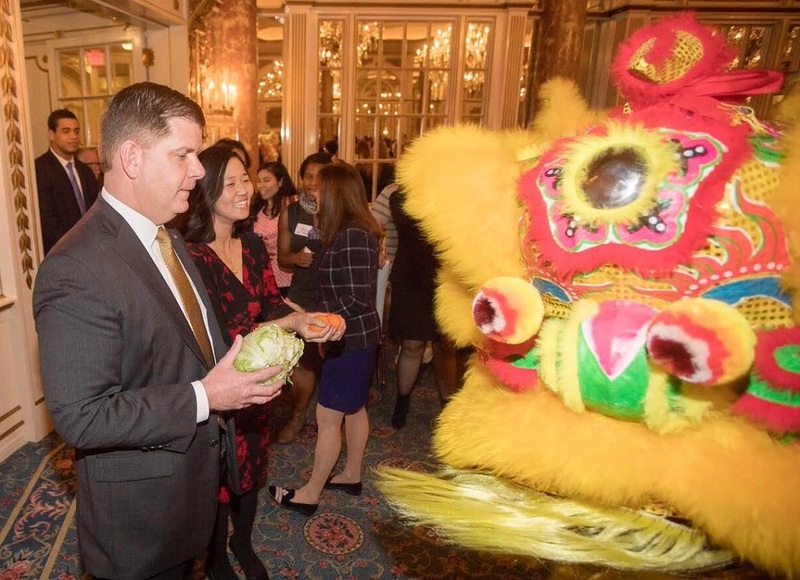 Mayor Walsh and Councilor Wu at the lion dance performance. Named in honor of the dedicated and courageous Gabrielle Giffords, the Rising Star Award celebrates an extraordinary woman serving in state or local office. Elected in 2013, Michelle is the first Asian American woman to serve on the Boston City Council and the first woman of color to become council president. Mr. David Wong(left) and Councilor Wu(right) at the Lunar New Year celebration. 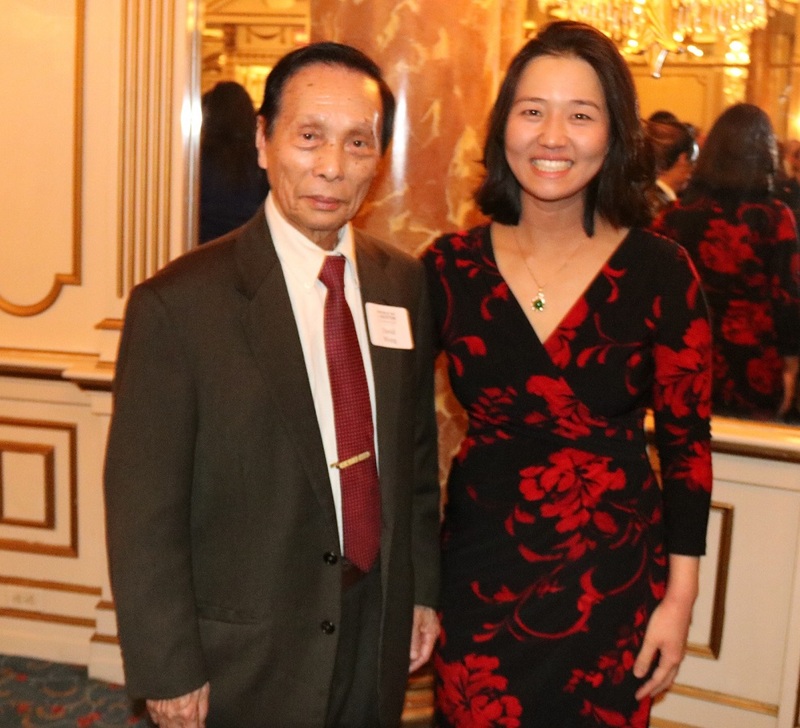 “Councilor Wu is a great leader we are so proud of, ” said Mr. David Wong, a long time business leader in Boston Chinatown, who attended Councilor Wu’s 3rd Annual Lunar New Year Celebration at Fairmont Copley Plaza Hotel in Back Bay. Other distinguished gusts at the celebration include State Treasurer Deb Goldberg, Mayor Martin Walsh, Suffolk County Sheriff Steven Tompkins, Boston Public School Superintendent Tommy Chang and etc. Guests enjoyed great food, Hong Bao (lucky red envelopes), and a lion dance performance by Nüwa Athletic Club. Tommy Chang and Steven Tompkins pose for a picture. Councilor Wu is a mother of two young children, daughter of immigrants, cyclist, and national voice for bold, progressive action at the local level. Her legislative victories include paid parental leave, health care equity, language access, renewable energy, and procurement reform. Graduated from Harvard Law School, Councilor Wu decided to run for Boston City Council early in 2013 after she worked tirelessly form her professor Elizabeth Warren’s successful campaign for Senate in 2012. To vote for Councilor Wu, please visit https://secure.emilyslist.org/page/s/20180228_website_RisingStarVoting.